If you want to add conversion tracking while using the Happy Checkout app, such as your Google Analytics code or a tracking pixel, you can do so easily. We recommend following the Shopify documentation for adding conversion tracking, as this process remains unchanged while using Happy Checkout. 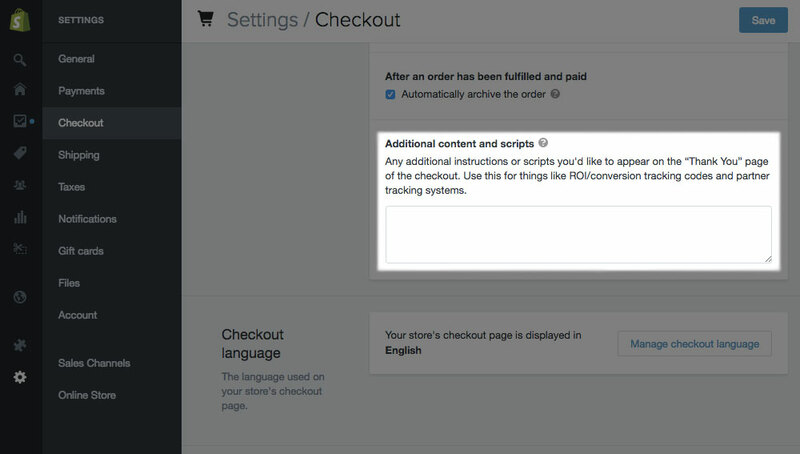 Happy Checkout will pull any scripts here into the thank you page to preserve your conversion tracking; this way, if you stop using the app at any point (or you've already been tracking conversions), your data remains consistent.